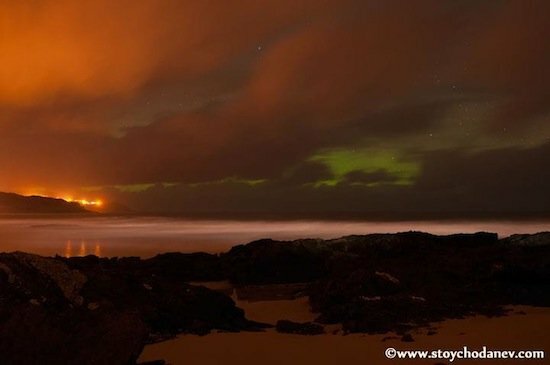 THERE may have been some clouds in the skies above Co Donegal last night – but not enough to ruin another dazzling display of the Northern Lights. This beautiful picture was taken Stoycho Danev in Culdaff. People also gathered in other parts of Inishowen into the small hours to watch the display.